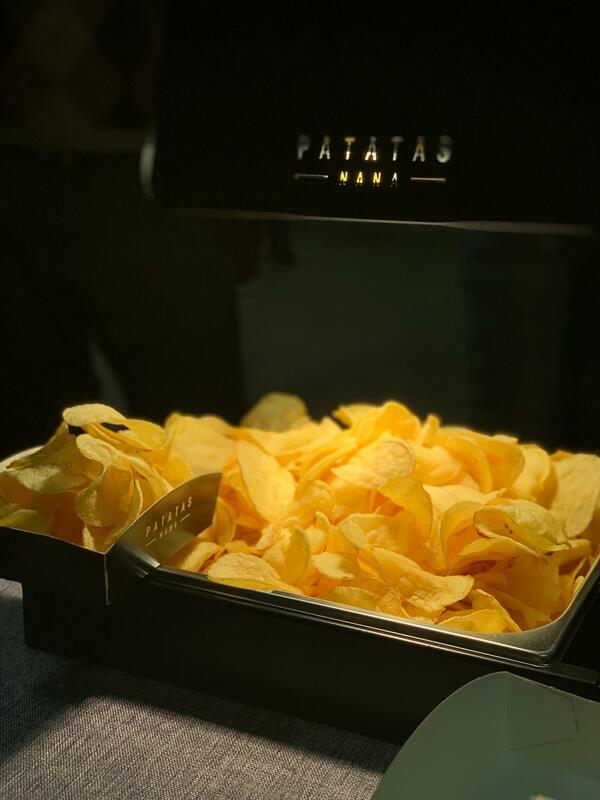 Thanks to Nana_Lamps you can enjoy our chips, and fragrant as freshly fried! 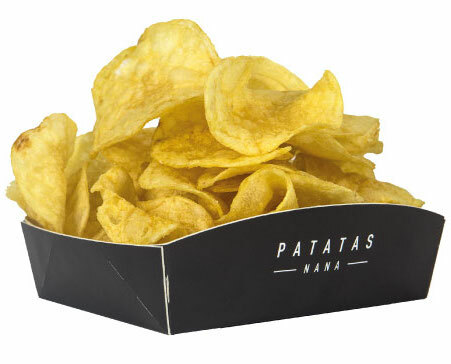 Single-portion container ideal for serving hot 50/60 grams of Patatas Nana, natural or in all its recipes. WHO DOES THE NANA PATATAS REVEAL? 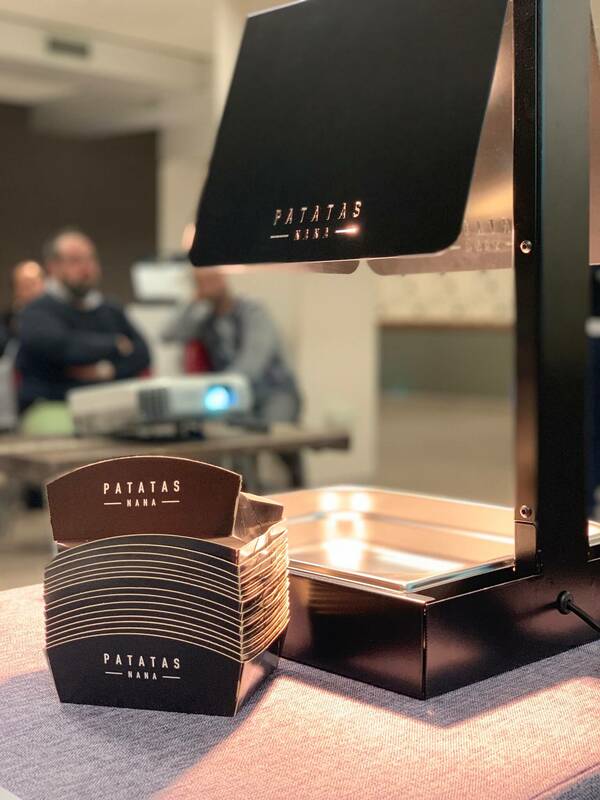 You can display them on the hot and fragrant counter or you can also present them in the original packaging, which preserves their taste and integrity. 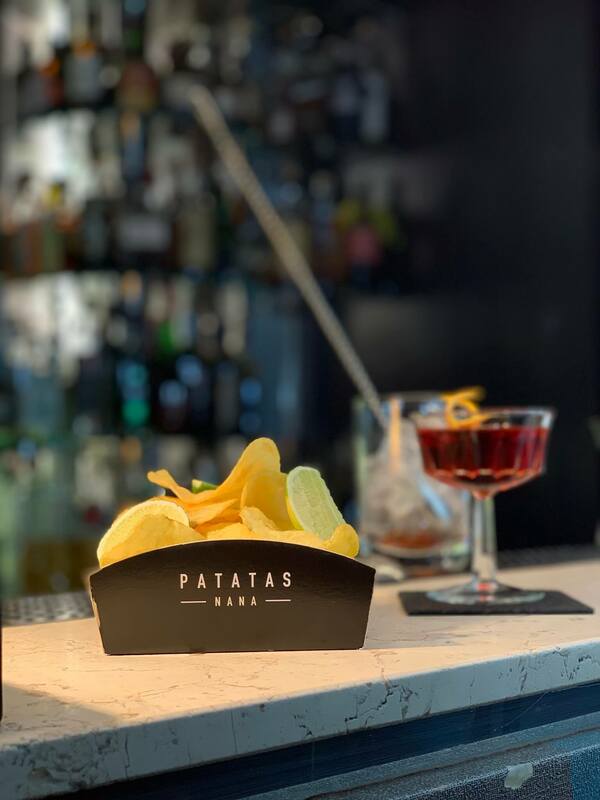 So your customers will enjoy a first class aperitif in both cocktails and chips, as good as freshly fried. To offer customers waiting for their table a tasty appetizer and ensure a high quality welcoming service. 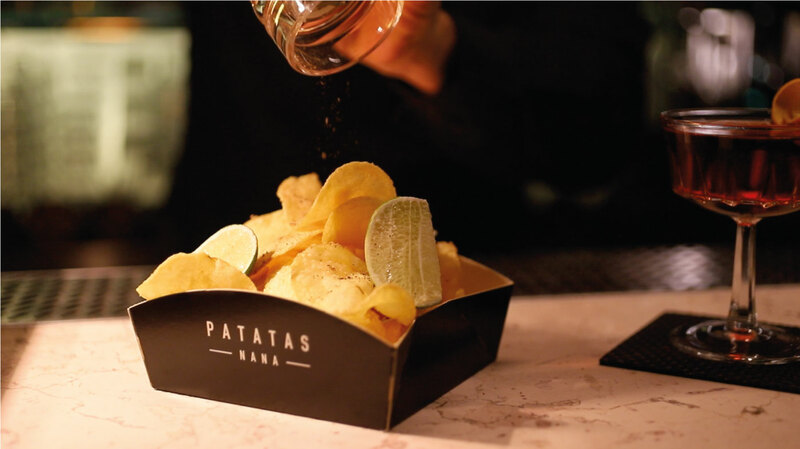 Moreover the versatility of Patatas Nana and their simple taste is the ideal partner for your chef’s experiments. 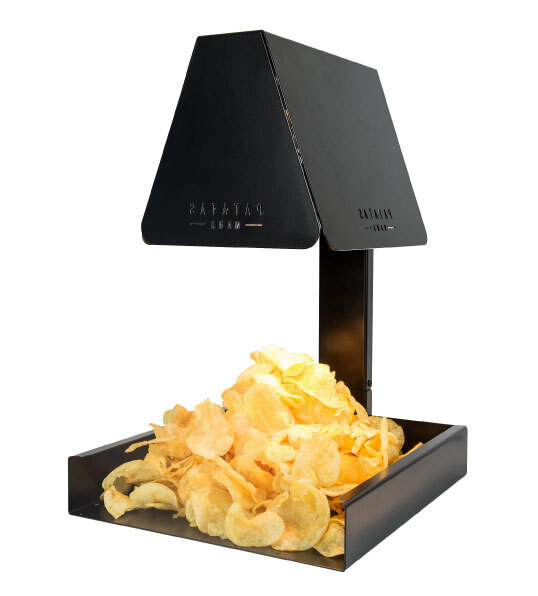 For the hotel bar or to complement the products of the minibar and incentivize the use by the customer. 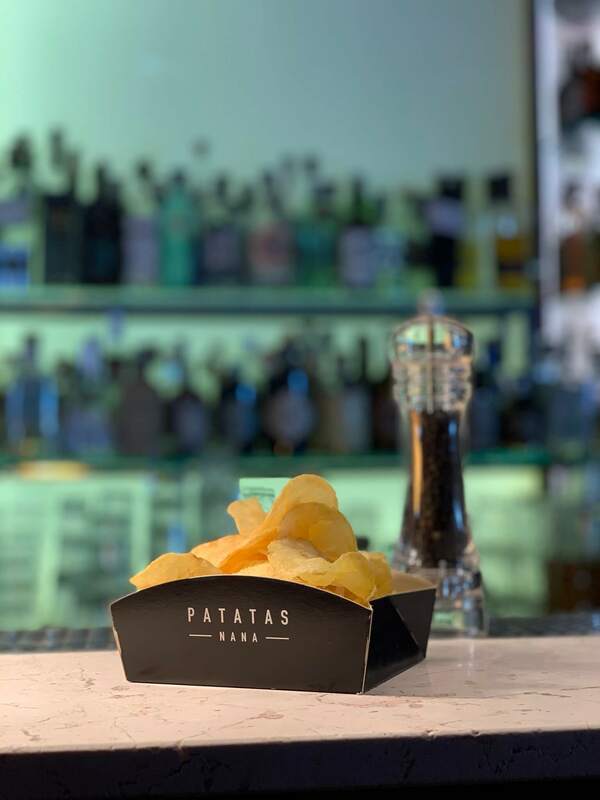 Offering Patatas Nana in packs of 50g the guest will be invited to taste Patatas Nana and at the same time to accompany the aperitif with champagne or a good prosecco, which will be available in the minibar. Would you like more information about our NANA_LAMPADA? Would you like to have it in your business? 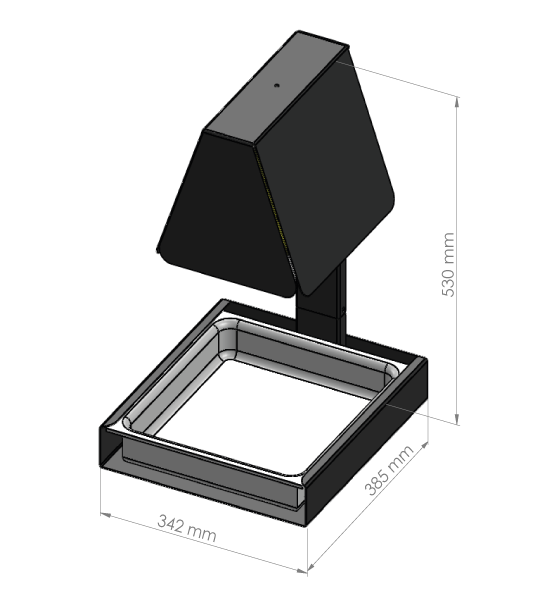 Contact us and find out how to get it!